B.A. in Music Performance, University of New Hampshire. M.M. in Music Performance, Georgia State University. Teacher at Eugene Lee School of Music since 2007. Also teaches privately. Performs with New Atlantic Philharmonic and Johns Creek Symphony Orchestra. 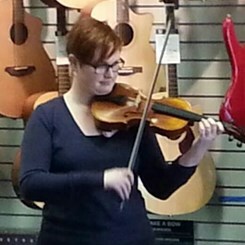 Request Lessons with Kate today!